As technology develops, and algorithms change, the trends and techniques for website designs evolve with them at a rapid pace. Dubai is a hub for creativity and grand design; this is reflected in the sites that companies use to embody their brand. What was in favour one year is sure to be outdated the next and staying ahead of the curve can be understandably tiresome, but we're here to help you get the low down on what's hot right now. 2018 brought with it a host of new tech trends that we can now expect to gain traction and be more frequently implemented in 2019. Without further ado folks, here are the top web design trends for 2019. Voice is becoming increasingly more popular for users on smartphones, so it figures that web design needs conversational interfaces to support it. This means understanding how the audience interacts with the site via voice commands. Content on the site needs to be designed with this in mind. Voice interfaces “read” websites for information and data, so the text content must be designed to match what audiences are requesting via voice. We're not referring to the basic little chat box in the bottom left corner of the web page. We're talking full page chat. As chatbots gained popularity, consumers have become more familiar with these conversational interactions, and this way of engaging with viewers has been adopted more innovatively by some companies who have played around with website design that engages the viewer as soon as they hit the home screen. This interface may ask them what they are looking for and walking them through a chat type engagement to help them navigate the site. Animation has excellent power to engage audiences, tell stories and compel action. While animation is certainly not new for websites -- there has been a lot of advancement in scroll-based animations and timed animations to lead the viewer's eye down the page -- it has not historically been too popular on mobile. That is all about to change. Mobile-first animation is set to grow significantly in 2019 with designers bringing together what works on desktop and tailoring it to deliver the same power to mobile. 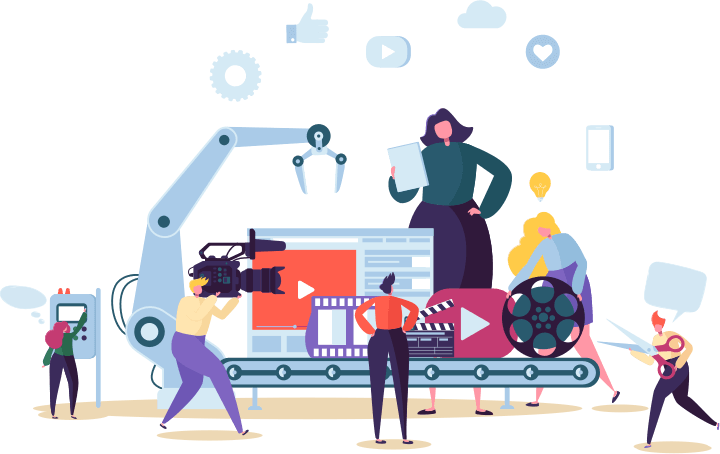 Consumers love video, and the video background is expected to keep rising in popularity this year, allowing brands to visually represent their style and feel, capturing attention, telling their story and connecting with audiences through stunning cinematography. Moving away from the typical flat look illustration, designers are upping the ante with more diverse styles, adding dimension with 3D styles, cut out shapes, and abstract looking illustrations that give the viewer a sense of depth and dimension, while demonstrating the brand message. It's not all about the images for 2019. Screen-filling text is on the rise. That doesn't mean text heavy and long-winded, we're talking about simple, punchy one-liners that take up an entire page to demonstrate powerful messages and prompt swift action. Bright colour is dominating the internet. Whether it's gradient backgrounds, bright image overlays, or animations featuring vibrant moving colours, bright is going to be right for the foreseeable future. Consumers today care about the values of the brands they engage with. Establishing an emotional connection is critical to gaining trust and favour. 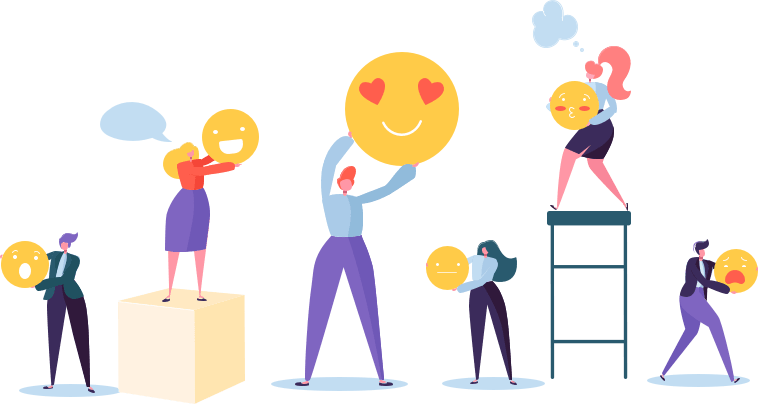 While this one is a little harder to describe, it is a holistic approach to website design that encompasses the emotion brands want their audience to feel in order to create a connection. This is applied to colour, imagery and the user interface to ensure the connection is established on every level of interaction. It turns out people love to scroll. Single page design was once thought to be on the out. However, we're now seeing more single page designs coming back with a brand new flare designed for immersive storytelling that keeps users engaged. The resurgence of the single page is likely because it does so well on mobile and smaller devices like tablets. As mobile users grow, it's important to be mindful of design that suits the scroll of a phone. We're not suggesting that every new trend should be jumped on, no one wants a copy of what everyone else is doing. 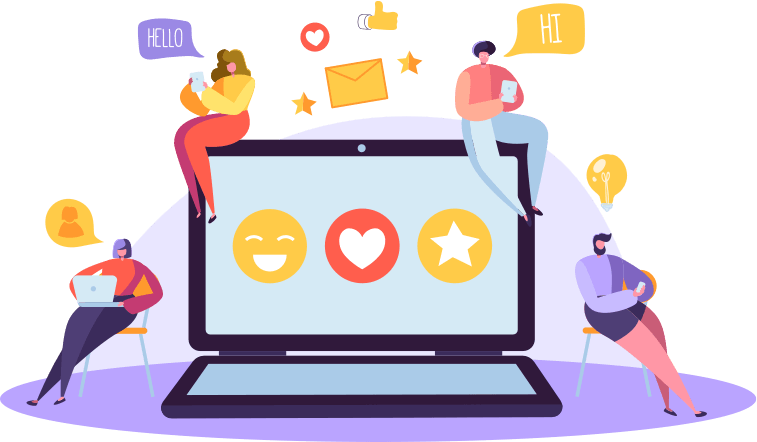 In saying that, trends are trendy for a reason and anything that enhances the user experience, improves engagement, increases functionality and makes your brand look killer against the competition, is worth taking a look at. To know what is going to be best for your brand, you need to have a clear idea of what it is your site does, what it offers to your audience and what it is your audience wants to gain from their experience on your site. Gathering this insight is critical to avoid falling into trends merely because they're trendy, rather than because they are going to enhance the goals of your site. The best way to get the right website design for your organisation -- jam-packed with the latest website features -- is to partner with an agency that has the experience and grit to challenge your brand, dig deep into your audience and design solutions that match the goals of your organisation and meet the desires of your website visitor. Thus compelling them to engage, purchase or take whatever action it is you need them to take to reach (or smash) the metrics in place for your site. Blue Beetle is a digital marketing and web agency based in Dubai. We have more than 15 years of web design and digital marketing experience that we bring to clients across the board, with a particular sweet spot for the hospitality, leisure and events sectors. Our primary focus is to bring our clients more customers. 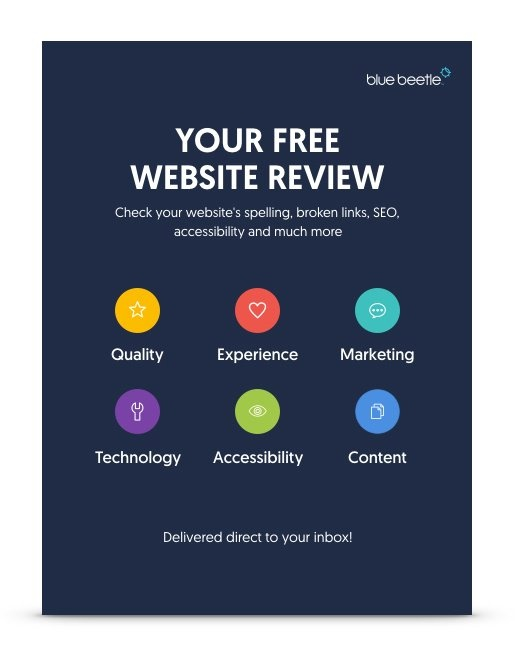 If you want more customers and a sleek website design that captures attention and compels action, get in touch with Blue Beetle to see how we can help.